this approach is proving difficult to actually accomplish in code, mine or others. 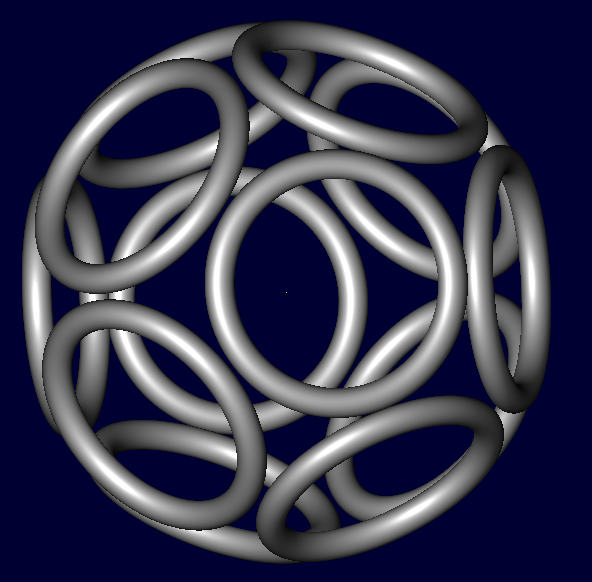 We need to scale and rotate the dodecahedron, not sure of the specifics. this is what it would look like before inserting the coils. Check this out. 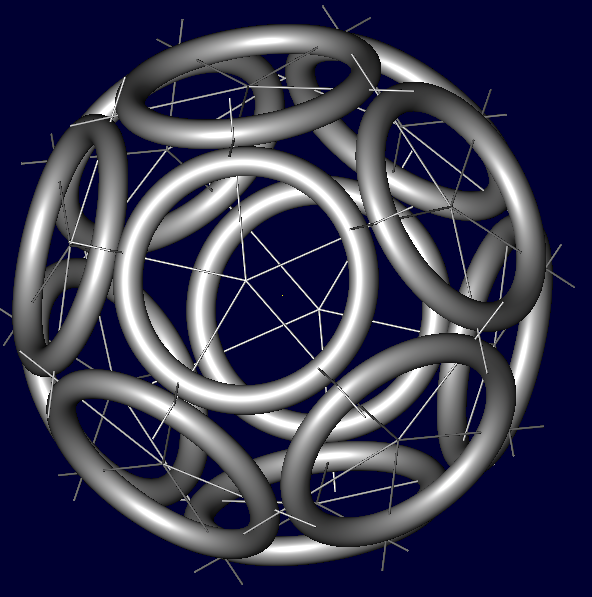 A truncated dodecahedral Polywell rendered in CAD. 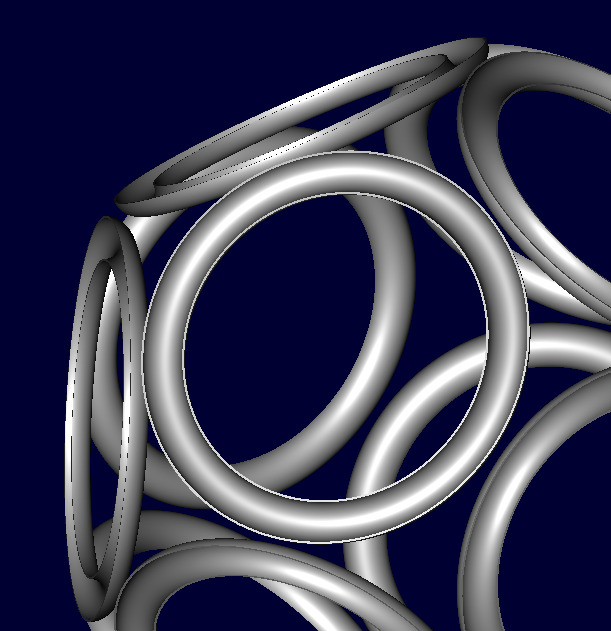 This basically iterates through the vertices of the icosahedron, and draws a torus normal to the origin. 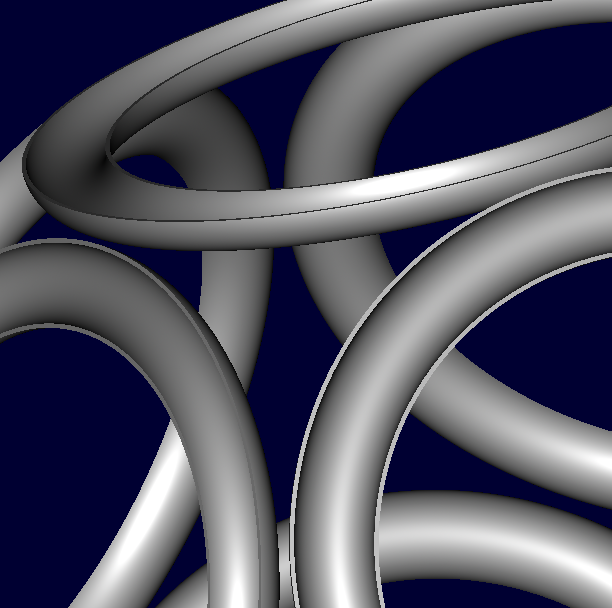 Now we are tantalizingly close to having a CAD file we can render in metal. First off, I’m all about open source software. Free, unencumbered, agile, fast. For glue code I’ll use Ruby or Python. I know ruby I don’t know python. SAGE for a mathematics package. My laptop is a mac, I use linux on the server side, and will likely use EC2 for cloud computing. This approach can create fully melted seamless structural elements out of stainless or tool steel. Incredible! I see using this for the structural elements such as the walls of the core. For delicate welding there is electron beam welding. EMC used this to weld the toruses without damaging the the coils inside. However this approach requires 1) a level work surface 2) high vacuum 3) covering the work surface with metal powder. Arcam’s current size limit is 200mm X 200mm X 350mm, so too small for the core. However the technology could possibly be adapted for a larger format. 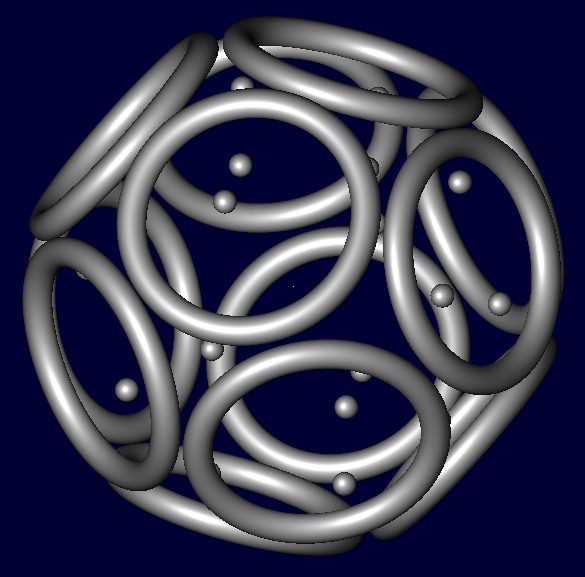 I image EBM could be used to fabricate superconductors in-situ (wild speculation, more later). Robotic milling and polishing allow you to achieve high tolerances and high finish even while using an additive process like Direct Metal Deposition. What is so exciting about these fabrication technologies is that taken together they allow for a direct to metal workflow. A CAD file goes in one side and a finished product comes out the other (with hours of WTF in-between).